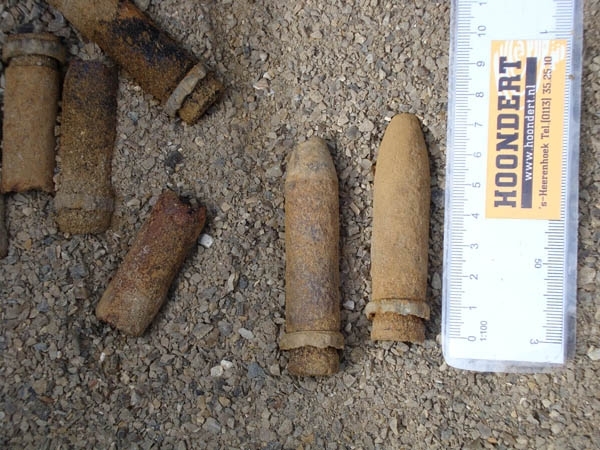 Sort Ammunition – Hoondert Groep B.V. Occasionally, we may encounter ammunition, for example during a ground work or while clearing a shipwreck. In such cases, we need to proceed extremely carefully in order to avoid dangerous situations. We have various machines that can be equipped with explosion-safe cabins and an explosion-safe unit with sorting conveyor. In addition, our people have the necessary knowledge and experience to work with these materials.